A reporter, sports columnist and short story writer, Runyon was born in Manhattan, Kansas and grew up in Pueblo, Colorado. As a teen he began his career in journalism working for The Pueblo Chieftain and the Pueblo Evening Press before becoming sportswriter for the Denver Post. He ventured to New York City to write for the New York American in 1910. 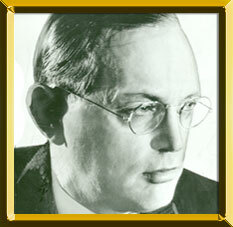 Runyon possessed an affinity for the fight game and covered most of the major fights from the end of World War I until his death in 1946. He is responsible for many boxers' "tags" including "The Cinderella Man" (Jim Braddock), "The Toy Bulldog" (Mickey Walker) and "The Manassa Mauler" (Jack Dempsey). He was also involved with the formation of Mike Jacobs' Twentieth Century Sporting Club. Among the short stories he penned include the collection Guys and Dolls. Diagnosed with throat cancer in 1944, Runyon died on December 10, 1946.